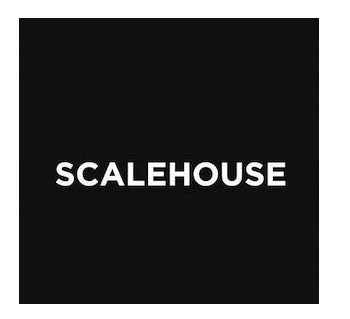 ScaleHouse welcomes 2015 Bend Design Conference Speaker and Seattle-based experiential artist, Sam Stubblefield, for a presentation and discussion about his current exhibition at the 2017 Venice Biennale. Plus, get a sneak peek at 2017 Bend Design Conference speakers and be the first to get an Early Bird Pass for the 3rd annual Bend Design Conference, October 26+27. Sam's installation uses technology to connect people to the natural world and its rapidly evolving reality: rising sea levels, changing weather patterns, and the intersection of our expanding digital reality with our diminishing contact with natural reality. Sam Stubblefield creates works for international audiences and organizations, including Amazon, the Bill & Melinda Gates Foundation, Google, MIT, the London 2012 Summer Olympics, and the Centre Pompidou. A featured speaker at the 2017 SxSW Conference in Austin, Texas, Sam has been featured in publications such as Fast Company, WIRED, and the New York Times. View his work here. Jenny Green Gallery is an "occasional gallery"—occasionally at an international art fair, occasionally in a pop-up venue in Bend, and occasionally on the road discovering what is new in the contemporary art world. Jenny believes in Goethe's idea that everyone "should hear a little music, read a little poetry, and see a fine picture every day of his life, in order that worldly cares may not obliterate the sense of the beautiful... implanted in the human soul." Learn more here. OSU-Cascades provides students personalized instruction and OSU's excellence in both academics and innovative research, as well as the lifelong advantages of a premier research university. OSU-Cascades is the only baccalaureate and graduate degree granting institution based in Central Oregon. OSU-Cascades expanded to a four-year university when it welcomed its first freshman class in fall 2015. Learn more here.